Prayer is essential for a relationship with Jesus Christ. One of the most important responsibilities we have as catechists is to help our students develop a life of prayer. I encourage my students to find ways to pray with their families, and to facilitate that I invite parents and younger siblings to be part of our prayer circle at the end of each class. While children haven’t yet learned to be self-conscious about prayer, parents sometimes are. Often, they stay on the periphery for a few classes, inching a bit closer each week. Some never get there, choosing to participate from a distance. I try to be as welcoming as possible. I let them know in advance what our prayer time will be like and set a consistent mood for prayer. We move to a carpeted area and sit in a circle. We turn down the lights, which is a signal for parents to come in, and play soft music. Often, our class is lively and noisy, so this helps the children transition and sets the tone for people coming into the room. The children are thrilled when their parents show up for prayer time. I teach first grade, and the sight of a child unabashedly climbing into a parent’s lap for prayer is a lovely sight to behold. Younger siblings who join us love to be part of our prayer time; my students often take charge of keeping the little ones in line. 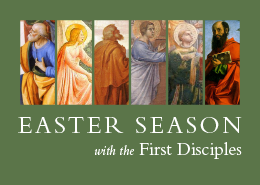 Since the form of prayer varies from week to week and depends on the lesson, I begin with a short introduction about what we discussed in class. For example, after a lesson on care for creation, I might begin by saying, “Today we learned about God’s creation and how we are called to care for all the gifts God has given us.” This serves as a reminder to the children and gives parents a quick summary of the lesson. I invite the children and parents to think of one thing they are thankful for and to pray, “Thank you, God, for the gift of ______.” This prayer works as an icebreaker—early in the year, not many people are comfortable in speaking up—and is an easy way to involve younger siblings. Prayer time that involves singing is always popular and a good way to get people involved. Intercessory prayers are also popular. They uncover sweet and compassionate prayers. I can tell parents are sometimes surprised by what is on their child’s mind: a traveling parent, a sick grandparent, a new baby in the family, even hungry children. I hope these prayers open up conversations at home. For our lesson on All Saints Day, we pray a Litany of the Saints, which also makes it easy for everyone to say something. One mother told me she prayed to her late mother’s name saint, which she’d never done before. After our lesson on the Rosary, we prayed a decade of the Rosary. Afterward, a mother told me that her son wanted to pray it together before bed. During the lesson on the Holy Family, I teach simple sign language for thank you, God, family, father, mother, child, brother, and sister. 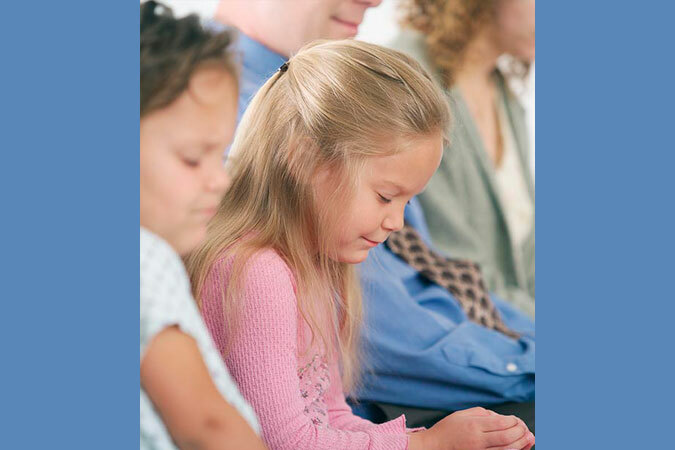 At prayer time for this lesson, we include a silent prayer where parents and children can sign their thanks for one another. During Lent, we have a Reconciliation prayer service. The children take their roles very seriously. Some set up the classroom and act as greeters, others are readers, and others process in with purple cloths, candles, a cross, and a children’s Lectionary for our prayer table. 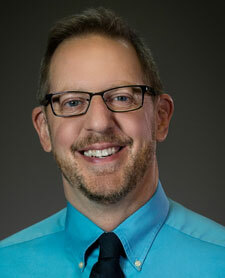 They essentially lead the whole service, and the parent feedback is overwhelmingly positive. I want children to be comfortable in speaking with God and parents to be comfortable in praying with their children. In the busyness of life, family prayer may be a perfunctory grace at dinner, if that. Incorporating a variety of forms in class prayer time allows everyone to find a method that works best for them. The key to helping children develop their prayer lives is to have a vibrant prayer life yourself. To help you share your prayer life with the children in your class, practice how you’ll teach and lead classroom prayer as you plan your lesson. This will make praying in front of a group less intimidating and help prayer time feel like a natural part of the lesson. How do you teach prayer in your class? 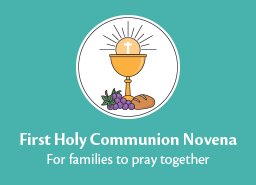 How can you include families in classroom prayer time? 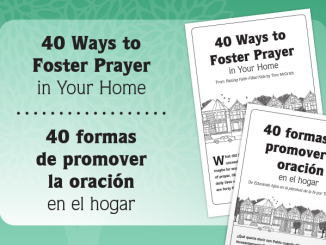 Send families home with a copy of Catholic Prayer for Catholic Families or La oración católica para las familias católicas. I have a hard time with prayers in my religious education class, even though I pray a lot at home (ok, maybe not as much as I should). As my parish gets ready to start this new school year, your article has given me some thoughts for my class. Even though I teach first year Confirmation, and as 7th and 8th graders, parents just drop off their students and pick them up, in my letter home I am going to invite them to closing prayers in class. Thank you for the suggestions. I always start class with prayer to get us focused on class because the children are coming in from snack. My class is fifth grade so I introduce them to many new prayers. They enjoy special intention prayers where I have them write 2 intentions and then we fold them and put them in a hat. Then each student picks 2 that are not theirs and we pray them out loud…Lord hear our prayer! Just like church. We have a Catholic book of prayers so we pray and learn with that book with a new prayer leader each week. By time the children leave 5th grade, they know many more prayers than when they came. It’s wonderful to hear!